Is income investing dead in the share market? Over the year, global and growth investors have been well-rewarded. However, share investors often feel left out, particularly when they are not exposed to the popular styles and sectors that have driven excitement among market commentators and participants. 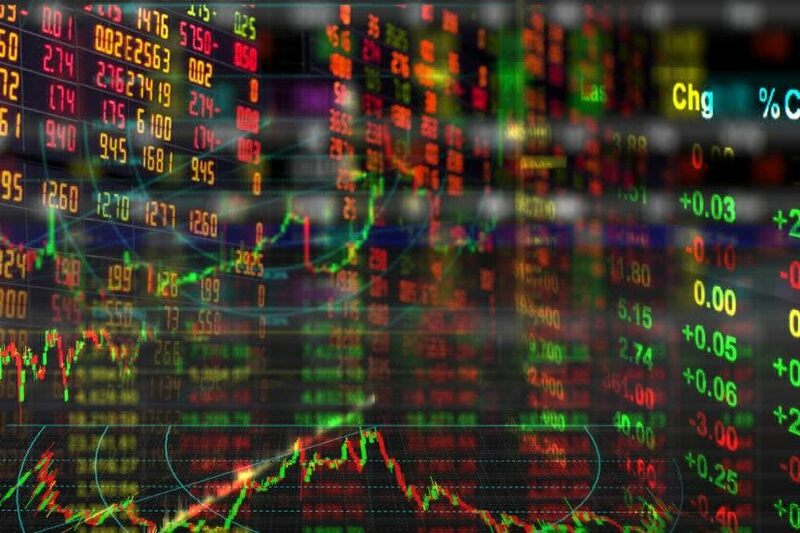 Those who invest in the share market for income have felt this way for the past 18 months as local and global markets soared, yet they were left to contend with disappointing returns. The protracted length of this underperformance, the current correction and looming headwinds have many questioning whether investing in the share market for income is a dying strategy. On the surface, things look good for income investors. The current median average dividend forecast yield for the constituents of the All Ordinaries is at a very healthy 3.36%. Including franking credits this rises to 5.34%. With 208 companies (41%) paying above that average, plus the proliferation of many Listed Investment Companies (LICs) and Funds focused on income, it is not difficult to find a company or vehicle that is paying its investors a better-than-average income on their investment. 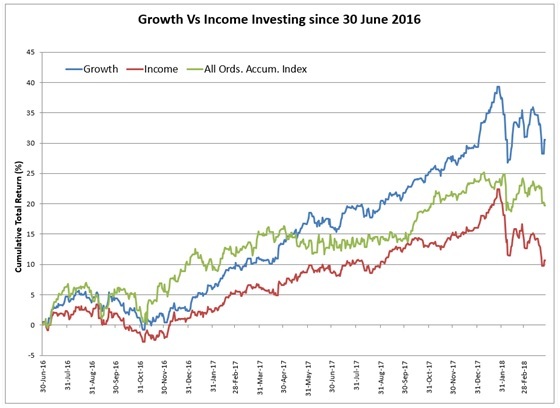 However, the challenge has been from a total return perspective where,for the past twelve months, the median average total return for the All Ordinaries (including dividends) has been 12.9%. Whereas the 208 companies that have paid a higher yield the total return has been 6.7%; meaning that excluding dividends, capital returns have been modest. This widening gap has many assessing the drivers of the divide and whether it will abate anytime soon. It is also important to remember that the drag on the performance of some of these businesses is due to factors beyond their yield. For example, participants in the telecommunications sector have the lowest earnings growth expectation for FY2018 of all industries,as investors in the income bellwether Telstra will tell you. Other sectors such as the banks, insurance, and property – the traditional heartland for income stocks – share similar low earnings growth expectations over the coming year and this has been reflected in the price. Front of mind for investors is the removal of franking benefits for those investors on a marginal tax rate, should Labor win the next election. While they are yet to win, changes will likely occur before implementation. Thisill-conceived idea, is a risk. We share the disappointed sentiments of the ‘faux millionaires’ who have been targeted and unfairly branded as greedy. Particularly, as they use their life savings to live and thus reduce the overall burden on the Government. While this issue is front of mind for investors, for companies on an operational level it will have little to no impact. But all said and done, seasoned investors will look at the current situation for income stocks and summate the state of play as a market cycle currently turned against them.We share this view. Rather than condemning income investing to the share market scrap heap, we see this current period as merely a cycle shift, supported by broad macro, sector and psychological factors. At some point, we believe it will return to favour and we urge investors not to rely on blind faith. When assessing a business for inclusion in our Star Income Stock portfolio, we don’t simply look for companies with the highest yield. We seek Financially Healthy businesses with an underlying growth driver that have delivered and are expected to continue to provide stable earnings. We seek companies with sustainable payout ratios and strong cashflow. This should at least support, but most likely increase, dividend payments into the future. We feel these businesses have their destiny in their own hands and will be the quickest to rebound when the cycle turns.